July | 2013 | The Loudest Librarian! Okay, so I kind of cheated on this one. My coworker, Gwen M. had ordered a bunch of dining hats from iRead, the company that provides the materials for our Summer Reading Program, and she gave me all the ones she had left over. They featured cute little fruits and vegetables for the kids to color in. Hello! Easiest craft project ever. 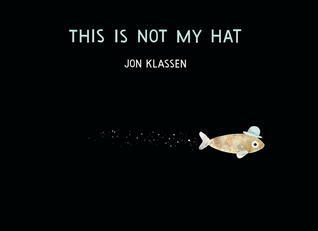 But coincidentally, there seem to be dozens of great picture books about hats, including this year’s Caldecott Award Winner, This is Not My Hat by Jon Klassen. (Oddly, Klassen has another book called I Want My Hat Back, which is strikingly similar in its well…disappearance of hat thieves. I guess Klassen really likes his hats). 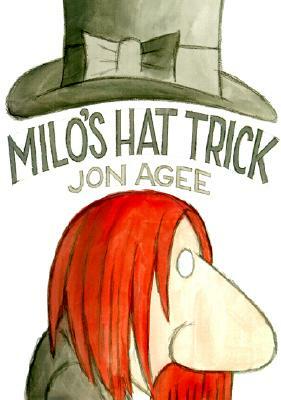 I love the wacky originality of Jon Agee, especially this book, and My Rhinoceros. This one features a magician who sets out to find a rabbit for his hat trick, and instead happens upon a very talented bear. A longer story, but it held the kids’ interest, and was fun to read. A coyote entrusts Tornado Slim with a letter and a magic hat that can hold the water from a broken dam and a whole tornado. I took a chance on this one, because the artwork is full of Magritte-style surrealism and references to his paintings. 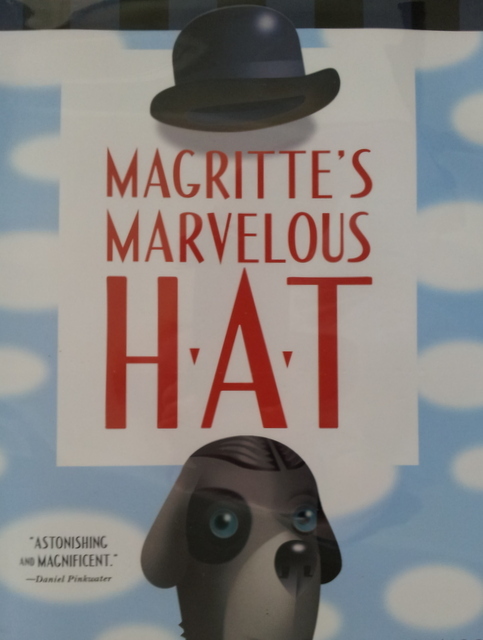 A dog painter named Magritte buys a magical hat that floats above his head and inspires him to paint better than he ever has before. The kids seemed to enjoy this one, and the parents were intrigued by the illustrations. I brought it home to share with my daughter because I think it would work even better as a one-on-one book. It has those clear plastic overlays I remember being fascinated by as a kid. INSTRUMENT PLAY WITH A CD: This Hat by Laurie Berkner, from her Under a Shady Tree album. There are lots of wonderful hat crafts online. If I hadn’t had the paper diner hats already, I probably would have done a paper hat like this: http://www.wikihow.com/Make-a-Paper-Hat. Given the age range of my storytime group, I think I would have made the hats ahead of time (and maybe printed out instructions for the parents in case anyone wanted to try making their own at home), then had the kids decorate them with stickers, markers and glue-on gems. Midway through the storytime, it hit me that I had forgotten my favorite hat book: Caps for Sale by Esphyr Slodbodkina. One of the best read-alouds for any age group. The kids always love joining in on the “TSZ! TSZ! TSZ! 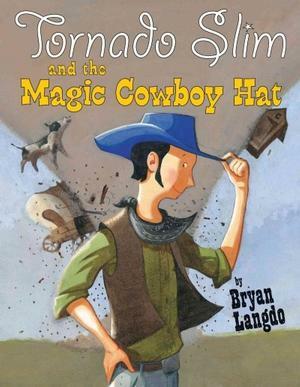 Any other favorite books about hats? Foot print horses made by Owen and Parker. 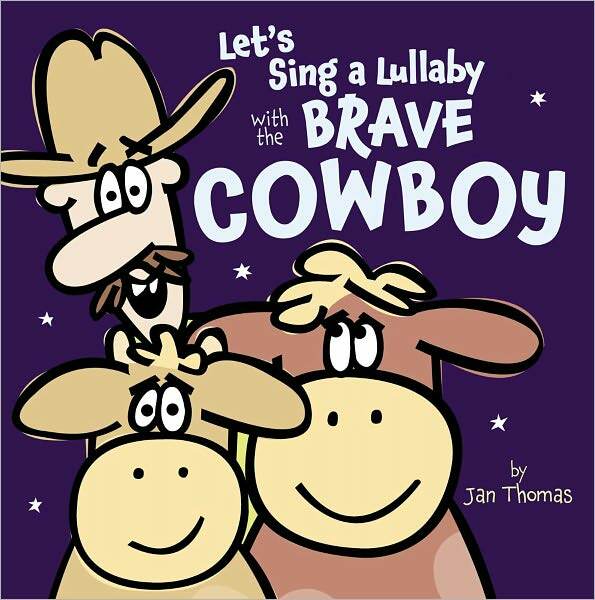 Tonight we read cowboy stories, which have a lot of kid appeal. There’s adventure, and horses, and outlaws, and big hats. What’s not to like? 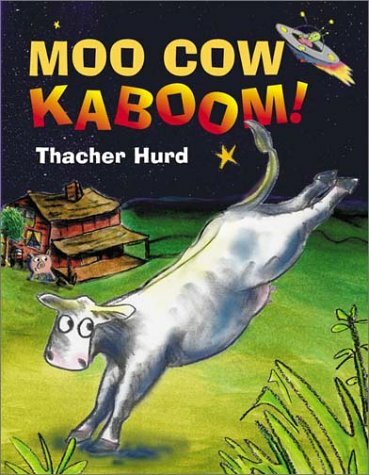 Written by Thacher Hurd, son of Goodnight Moon illustrator Clement Hurd, this one is terrific fun to read aloud. Farmer George’s Moo Cow is stolen by a space cowboy named Zork, who plans to ride her in the Inter-Galactic Rodeo. Certain books will always remind me of other people, who read them especially well, and this one belongs to my friend Barbara B. My daughter’s current favorite picture book. 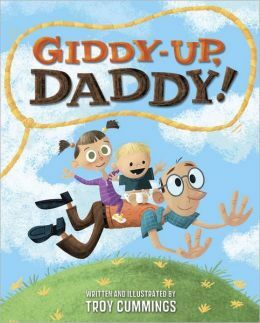 It features a dad who gives the world’s best horsey rides. So good, in fact, that he is kidnapped by horse rustlers. His two kids rush to the rescue, pursuing the horse thieves through a rodeo, a circus, a polo match, the Kentucky Derby, and all the way to Canada. 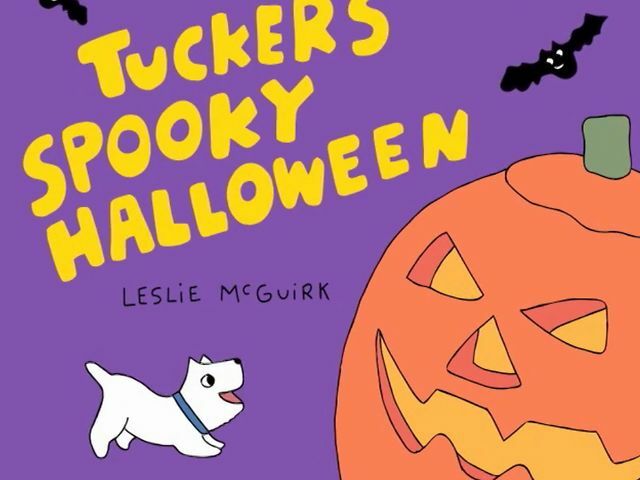 This one is a great read-aloud as well, with lots of opportunities for the kids to add sound effects like gasps and boos and galloping noises. Okay, this wasn’t in my plan for the evening. But, as I’ve mentioned before, the holiday books are right next to the storytime area, and kids are constantly pulling out Halloween books (especially this one!) and begging me to read them. Last night was no exception. Coincidentally though, this one is about a dog who wants to dress up as something scary for Halloween, and is disappointed when his owner wants his to dress up as…a cowboy! 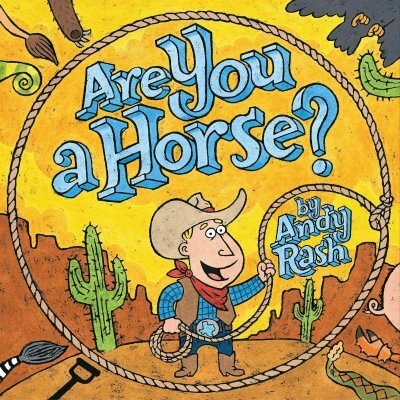 A cowboy sets out to find a horse for his new saddle, but, since he doesn’t know what a horse is, he approaches everything from a wagon to a tree sloth. The kids liked yelling out what the different “not a horse” things were, and the surprise twist at the end made everyone laugh. A variation of the Hokey Pokey I learned from Karin M. at the Foster City Library (she did a wonderful cowboy storytime recently, where they also sang “Deep in the Heart of Texas” and “Every Cowboy Needs a Horse.”) For this version of the song, instead of your feet, you put your spurs (right and left) in. You can also put your lasso in, your hat (head) in, and finally ride your horse in. In retrospect, I could have made Bingo a horse, as in, “There was a cowboy had a horse and Bingo was his name-o.” Instead, I did my usual variation, where we barked the missing letters. INSTRUMENT PLAYALONG WITH A CD: Bling Blang by Arlo Guthrie from the Sing Along with Putumayo album. 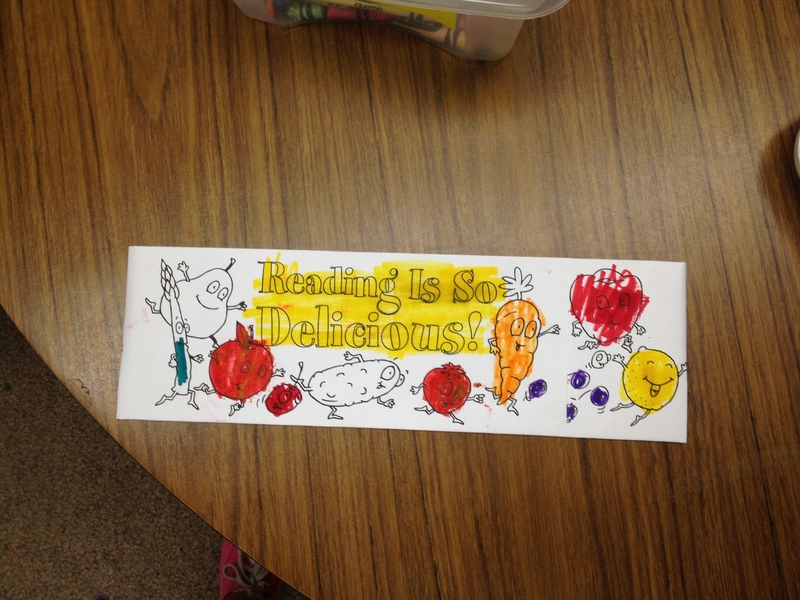 I got this craft from Busy Bee Crafts, one of my favorite kids craft sites. It did require some adult help to trace out the kid’s feet. Luckily, the kids were mostly all old enough to cut out the footprints themselves. I supplied the one-inch pieces of black yarn, the wiggly eyes, the neck (basically a long triangle with the top point cut off), and the ears (triangles). 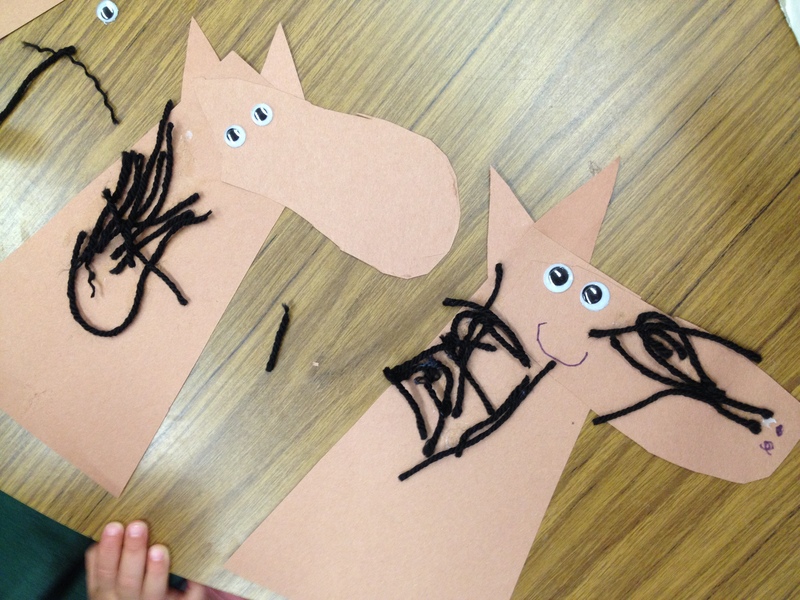 It worked pretty well, and each child assembled their horse slightly differently, so they each made the project their own. What are your favorite cowboy, Wild West, or horse stories?